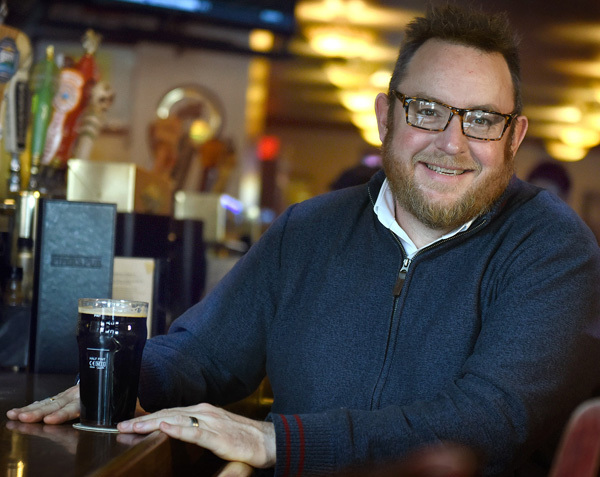 Once Gary Olden and Andy Kwiatkowski found a new home for Hitchhiker Brewing, making the change didn’t take all that long. It was finding the home that was the tough part. Olden, the owner, and Kwiatkowski, the head brewer, started looking for a larger space for Hitchhiker since shortly after the Mt. Lebanon brewery opened. 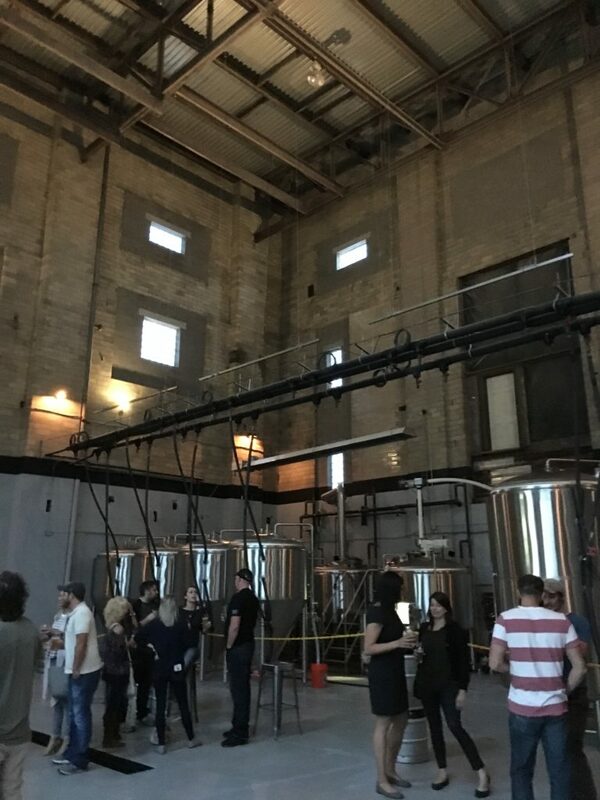 The taproom in the original home has served — and will continue to serve — customers well, but the three-barrel brewhouse was stuffed into the basement of the building, forcing the pair to find some creative solutions when it came to storing hops and grains, cleaning and filling kegs … oh, and making beer. They thought they had a place lined up off East Carson Street in the South Side, but city of Pittsburgh red tape — and what would have been a hefty plumbing bill — meant that space was unsuitable. But the search stretched into a second year before a break came for Hitchhiker; Olden was visiting Sharpsburg to check out another property when he noticed the massive outbuilding that had been the power house for the old Fort Pitt brewery. 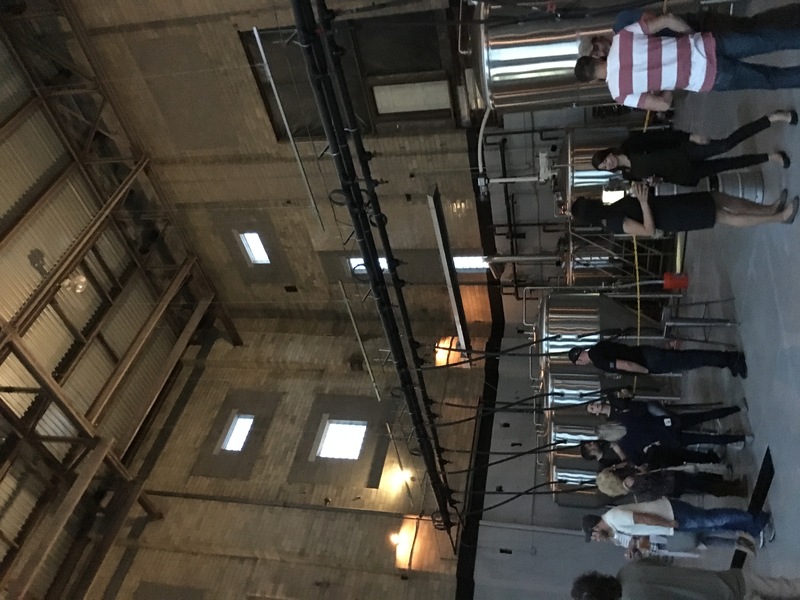 It turned out that the building was for sale, and by last winter, Olden, Kwiatkowski and a small crew had started work on building a new brewery and tap room. The brewhouse was done first, and Kwiatkowski brewed his first beer there — an APA called 15th and Canal, for the new brewery’s location in Sharpsburg — in June. The taproom, though, took a bit longer — they put the finishing touches on it just in the last week or two, and opened the doors for a couple test nights this week. The public space makes an impression right away. The tile work was preserved, as were the beams and skylights that give the room its industrial look. The curved bar is backed by a wall of taps. Twelve of those were pouring Hitchhiker beers when I visited this week; a handful of guest liquids were pouring from the others. When you visit — the grand opening is scheduled for Saturday, Sept. 9 — get a peek in the brewhouse if that door is open. The massive space makes the 15-barrel system seem small. It also means there is plenty of room to grow if there is need; adding more tanks to the space would be easy, and a canning line would fit nicely as well. A few more additions are already in place: two 1,000-gallon foeders — wood vats that will age sour beers — and a wall of smaller barrels for barrel-aged products. But here’s the best part: the beer. Kwiatkowski doesn’t hesitate to say that Hitchhiker’s products have improved since he started brewing on the new system earlier this summer. And look for higher ABV beers as well; Kwiatkowski said the old system simply didn’t have enough capacity for the grains he needed to build, for example, a double IPA (spoiler alert: there’s one on the way). If you’re a fan of the cozy Mt. Lebanon taproom, don’t worry — it’s not going anywhere. But if you live on the other side of Pittsburgh’s rivers, you’re in for a treat. And you don’t even have to hitch a ride to get there.